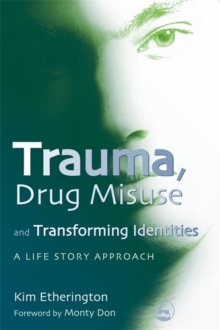 'This is an optimistic book which advocates and describes a different research paradigm to be practiced and developed. Read it and research! '- Lapidus'She has achieved her aim of the book being readable and giving insight into the processes of doing research through the lenses of the personal stories of researchers, whilst still writing a text that could be used as a core research method text for those who are themselves becoming reflective researchers. No matter what your background in the social sciences this original book, grounded in the reflexive practice of an experienced teacher and researcher, is well worth checking out'. - Escalate'Etherington (U, of Bristol) uses several narratives, including her own research diary and conversations with students and academics to demonstrate the way reflective research works in practice. Illustrating her points with poetry, paintings, metaphors and dreams, she suggests that recognizing the role of self in research can open up opportunities for creative and personal transformations. She also explores the use of reflexivity in counseling and psychotherapy practice and research. '- Book NewsThis book raises important questions about whether or not researchers can ever keep their own lives out of their work. In contrast to traditional impersonal approaches to research, reflexive researchers acknowledge the impact of their own history, experiences, beliefs and culture on the processes and outcomes of inquiry. 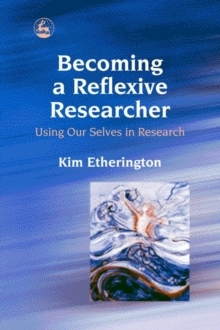 In this thought-provoking book, Kim Etherington uses a range of narratives, including her own research diary and conversations with students and academics, to show the reader how reflexive research works in practice, linking this with underpinning philosophies, methodologies and related ethical issues. Placing her own journey as a researcher alongside others, she suggests that recognising the role of self in research can open up opportunities for creative and personal transformations, and illustrates this idea with poetry, paintings and the use of metaphors and dreams. 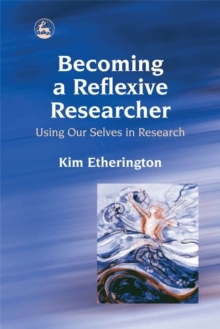 She explores ways in which reflexivity is used in counselling and psychotherapy practice and research, enabling people to become agents in their own lives. This book encourages researchers to reflect on how self-awareness can enrich relationships with those who assist them in their research. It will inspire and challenge students and academics across a wide range of disciplines to find creative ways of practising and representing their research.